We are an association of Automotive Artisans and GMC Owners. We are not only dedicated to the restoration of these classic front wheel drive GMC Motorhomes, built by GM from 1973-1978; we are also highly educated and dedicated to the preservation, renovation, and YES! the recycling of these dinosaurs as well. Join us and be a part of the co-op, we are here for you! Patreon is a creator based video site for fans and members, that allows us to create videos for your watching and informational pleasure and its free! We have created many videos, with a wide array of subjects that I’m sure will be of help. Check it out! If you like what you see, and would like to get notifications of new videos posted and the ability to follow us on our journeys, create an account! If you’d like to become a member (with perks), Click this link and choose your membership level! By becoming a “Super Supporter Member” you will receive the expertise and 24 hour access to Jim Bounds with his personal cell phone number as well as a Co-op Pocket T-shirt. This annual membership fee is only $50! Jim Bounds, your friend in the business! After over 20 years of being in this business, we are still proud of the work we’re doing to keep this classic motorhome on the road! This sweet piece of history is still a very smart and viable option to spending big dollars for what today’s RV community offers. However, now the Co-op is taking in projects bringing other vintage RV’s back to the road, take a “scroll” down some other projects we have tackled here at the Co-op! We have have worked with several vintage Airstream products bringing them back to their previous glory! We actually purchased one of these 20′ coaches they were so interesting. This is a 1973 Travco we renovated, a very interesting classic. The classic Revcon has a devoted following eager to have their awesome vintage machine working well. We have done mechanical as well as cosmetic updates on these coaches! Proof positive, we will work on just about anything! 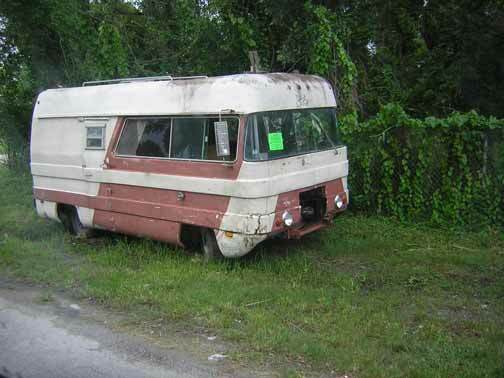 This coach was featured in the “Rock my RV” show on the Travel Channel. A Dodge chassis, still it has classic lines and is a survivor of a day gone by. But the ultimate question we have for you is… What do YOU have that you want to put back on the road?